Fundraiser by Danni Frank : Help Reduce Prison Recidivism in Arizona! 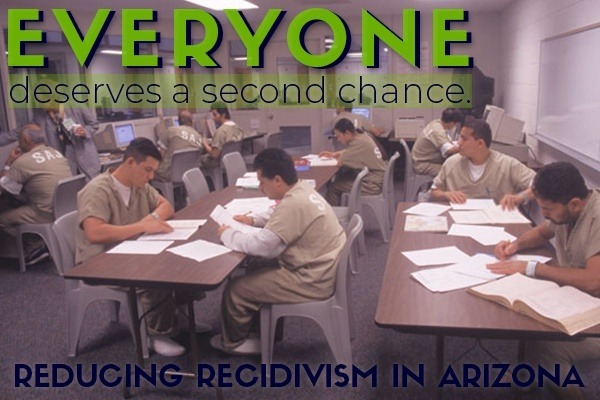 Help Reduce Prison Recidivism in Arizona! "Fresh Start- New Beginning is leading the charge to reduce recidivism in the USA!" Recidivism is a national crisis that can be drastically reduced when we all come together to support our community members as they are reintegrated into society. At Fresh Start- New Beginning, we are committed to bringing a bright future to those with a troubled past. We are currently asking our neighbors, community members, and supporters to assist us in fundraising $50,000 in order to put a down payment on the apartment buildings located at *1614 E Wood Drive in Phoenix, AZ. These building will allow us to provide housing to 20 previously incarcerated people who have met the FSNB requirements and who are on their way to turning their lives around. These buildings will also help us to provide employment to many of our community members, as it will require a bit of renovation work. We are joining forces with employers, government officials, community members, and everyone in between in an effort to drastically reduce recidivism rates in the state of Arizona. Please consider donating a few dollars to help change the lives of American families for generations. *If the property at 1614 E Wood Drive is made unavailable for any reason throughout our campaign, we will update this page to reflect a similar property that will provide the same housing and resources to the same number of qualified individuals. Fresh Start- New Beginning is a registered 501(c)3 nonprofit organization based in Scottsdale, Arizona that serves incarcerated individuals (prior and current) and their families, veterans, and at-risk teens, throughout the start of Arizona. From the moment of release, FSNB is there to support individuals and their families by providing the support and resources they need to successfully build bright futures for themselves. This includes: housing, employment, clothing, health insurance assistance, reintegration programs, physical and mental therapies, rehabilitation, GED and continued education courses, practical workforce training, and much more. FSNB is joining forces with employers, government officials, comunity members, and everyone in-between in an effort to drastically reduce the rate of recidivism in Arizona.